Default tab closing icon in ADF UI Shell is located in the top right corner. Users are not really happy about this and there is a demand to have the same positioning as you can see in the Web browsers - directly on the tab. 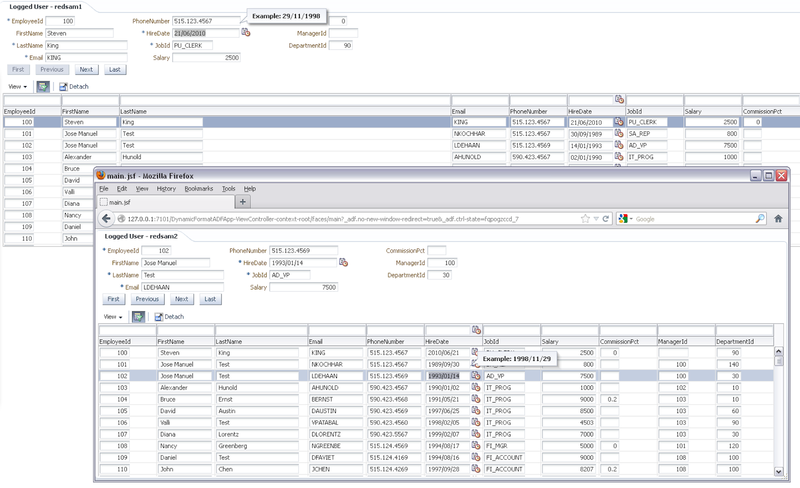 Tab placeholders are implemented in ADF UI Shell with af:navigationPane and af:commandNavigationItem components. Component af:navigationPane supports item removal, this means we can implement tab closing functionality directly in the tab. 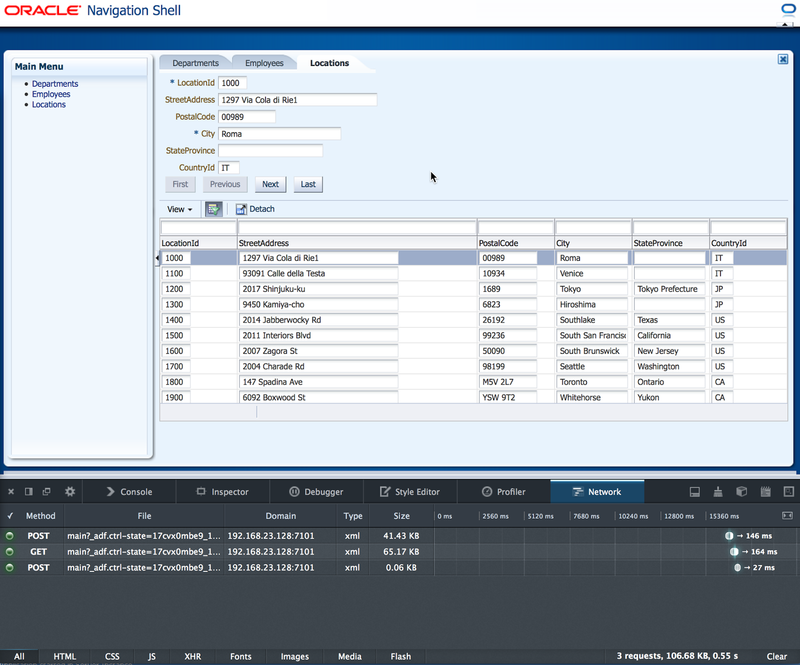 Unfortunately, out of the box ADF UI Shell template in ADF 11g and 12c is not updated with this adjustment. 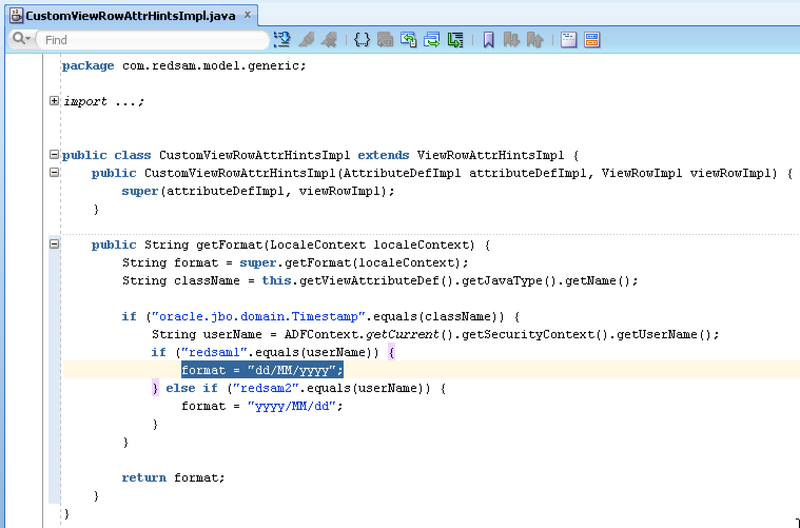 I will explain how you can implement by yourself, you would need to change ADF UI Shell source code. 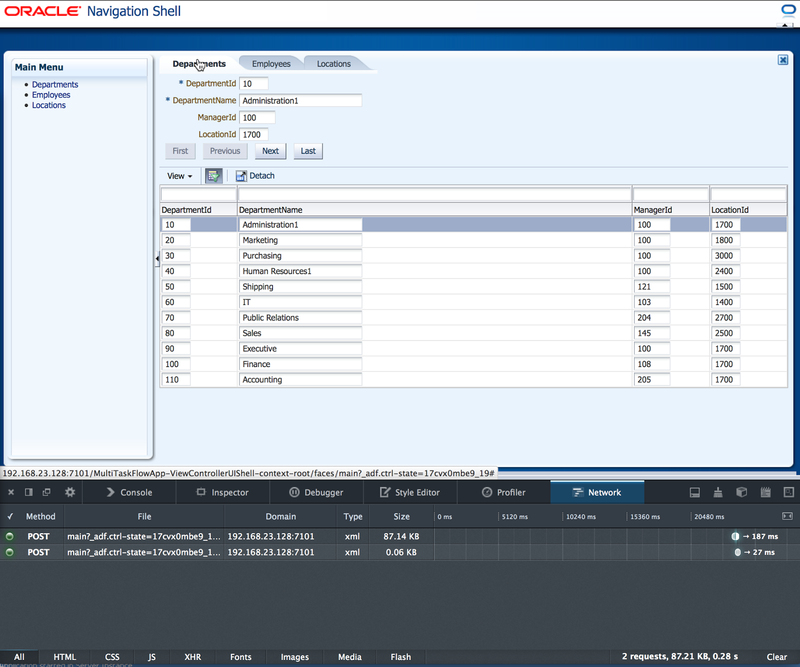 I was investigating performance impact of navigating between tabs in UI Shell template. 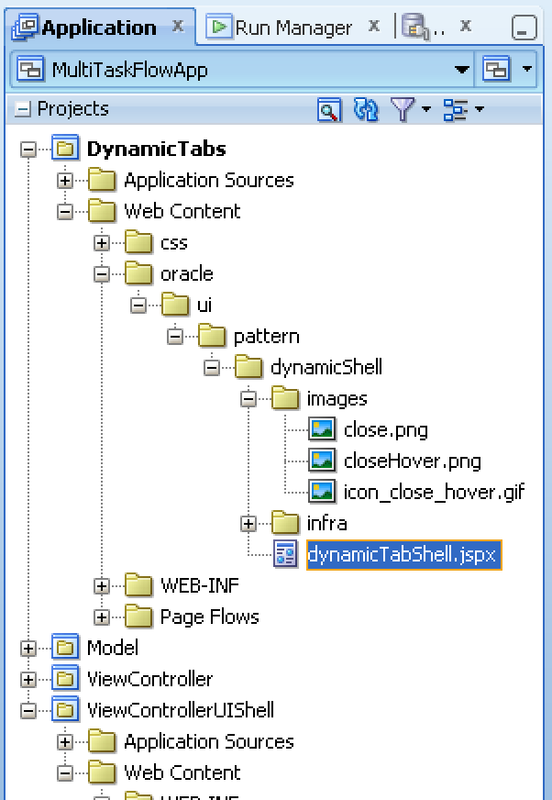 To compare, as alternative solution for UI Shell, I was using dynamic tabs with Multi Task Flow binding (Building Custom UI Shell with ADF 11g R2). When you switch between tabs in UI Shell, you could notice slight delay. This is normal delay (differently to browser tabs, where no delay), as there should be generated response from the server and JSF tree must be updated. 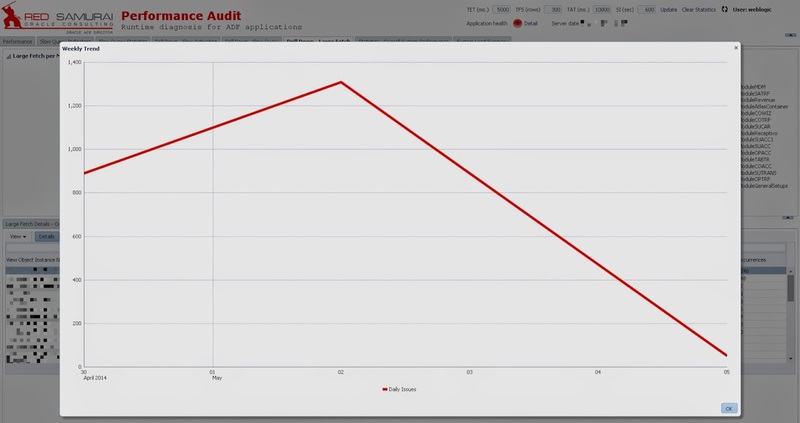 However, it is not clear what is the impact of such delay to application performance. The goal of my post is to answer this question. I was navigating through tab items for both solutions and recording tab opening time. Here are the results. You can see, both are almost the same. There is 0.5 second delay to open tab for a relatively simple UI with a form and editable table components. In the real scenario, with more complex UI, delay could grow to couple of seconds. One second or couple of seconds delay is generally acceptable in UI Shell, for navigation between tabs. If delay is longer than that, something must be wrong in your application - slow data fetch or slow table initialisation, could be one of the reasons. 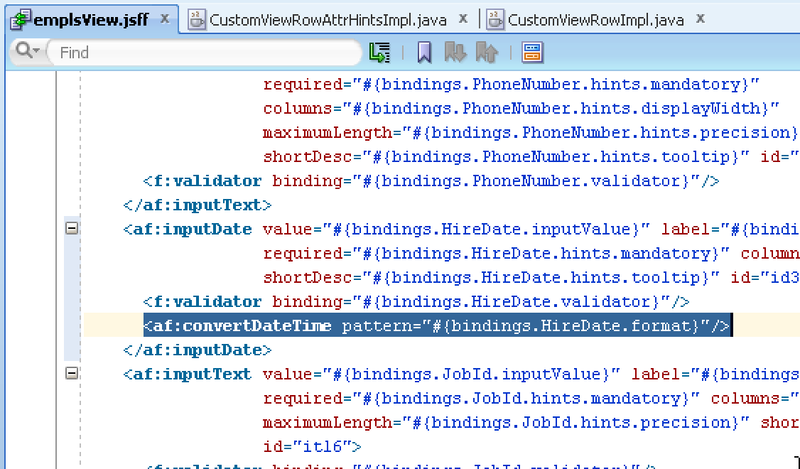 I bet you are familiar with ADF Query UI having many criteria items. This may look irritating to the users, as there are so many options to use for the search. I will describe alternative approach in this post, with MDS user persistence and personalisation involved. 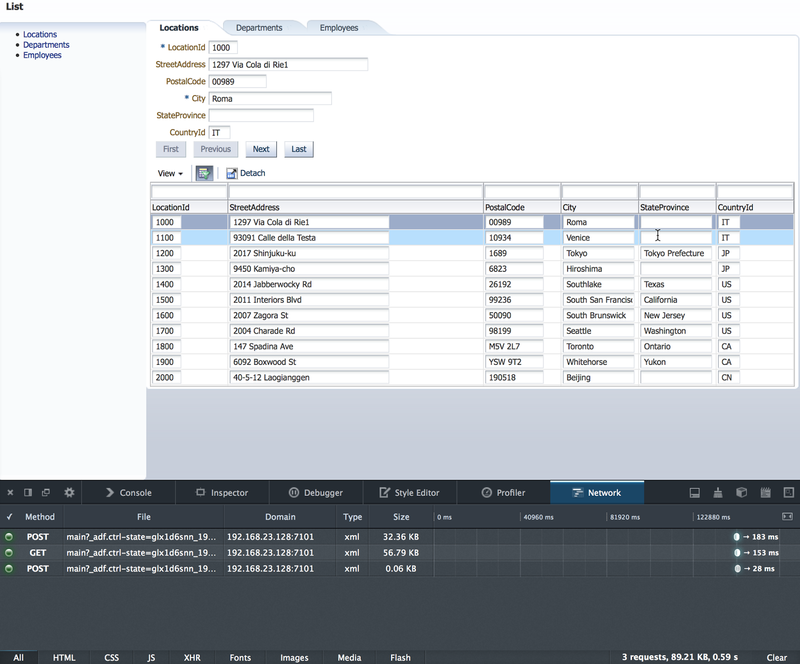 It might be more user friendly, to offer only few criteria items by default and allow to add other items through ADF Query advanced option, together with MDS user persistence feature enabled for personalisation. 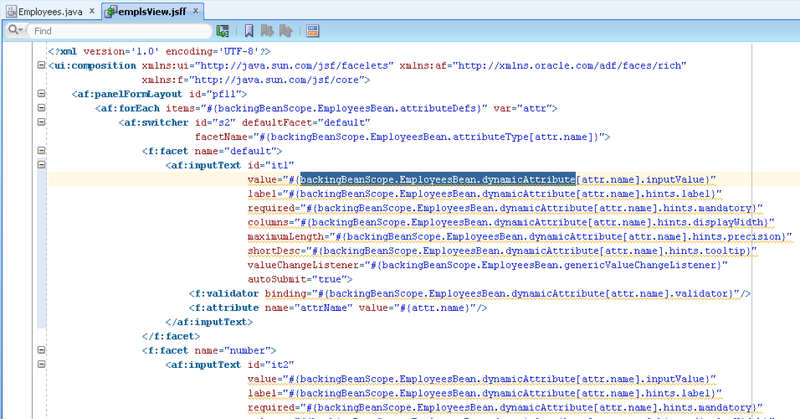 Post is based on sample application from - ADF Query Saved Search in ADF 12c. I hope such quick insight about ADF Query personalisation and criteria items optimisation will be useful for your project. You may have a requirement to apply different format for date type attributes, based on username, as for example. Different users, may use different date formats - in such case, formatting for date type attributes must be set dynamically. 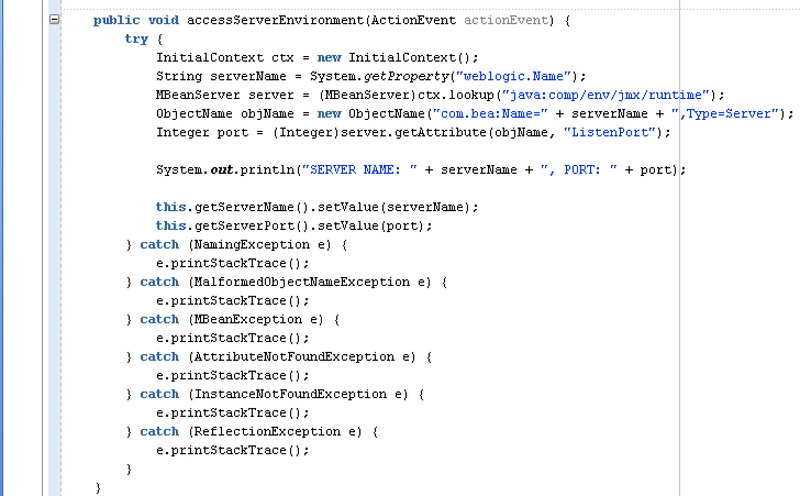 This can be achieved, using approach described in my previous post - Controlling ADF BC Mandatory Attribute Validation Conditionally. I would extend explained technique and apply it for date formatting. I bet one of the most common doubts ADF developer, or may be DB admin, has - why VO SQL executes slower than the one identical from SQL Plus? This is often the case, but there is nothing VO SQL to blame about. Usually VO SQL executes in almost same time, as it would execute in SQL Plus - but there is extra added time of row fetch. 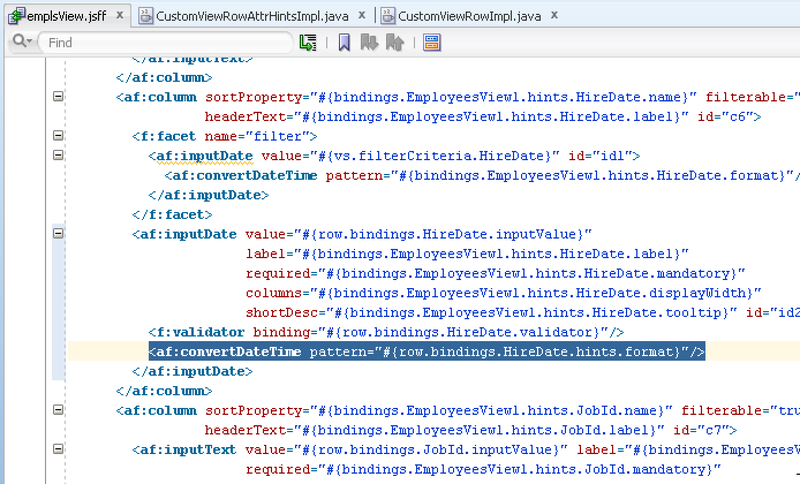 When ADF UI page is rendering, data becomes available after VO is executed and rows are fetched from result. 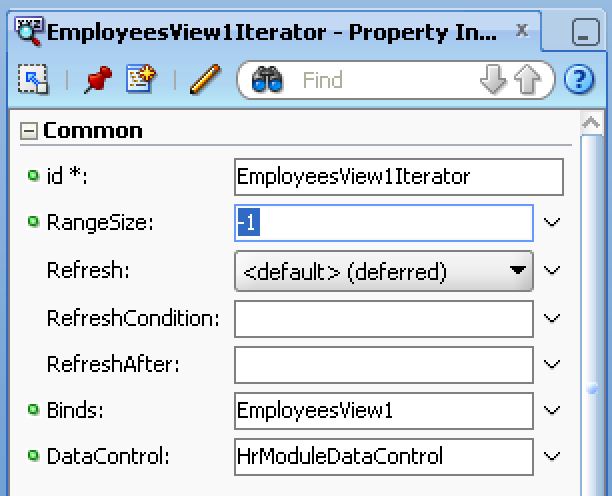 These two separate technical actions, look like one for ADF UI user - data will not be displayed, until it is not fetched. So, there is extra time for row fetch on top of VO SQL query execution. 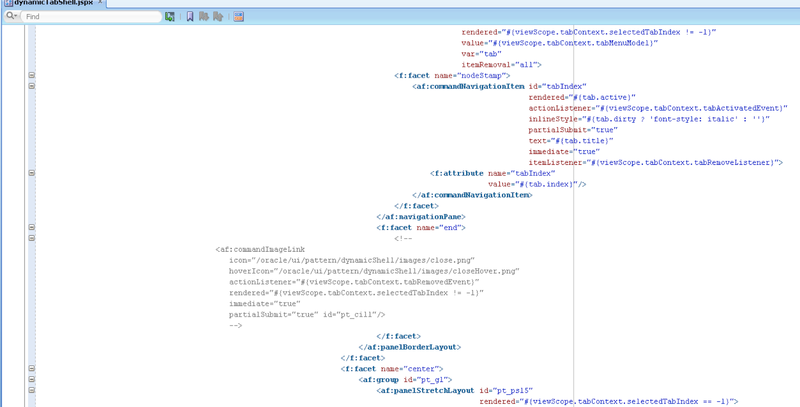 This is why - displaying data in ADF UI, could be slower than displaying it in SQL Plus. You should tune number of rows fetched by VO's, the worst practice is to set Range Size = -1 and fetch all rows at once. This is going to consume significant amount of memory to create many ViewRowImpl objects and waste time. 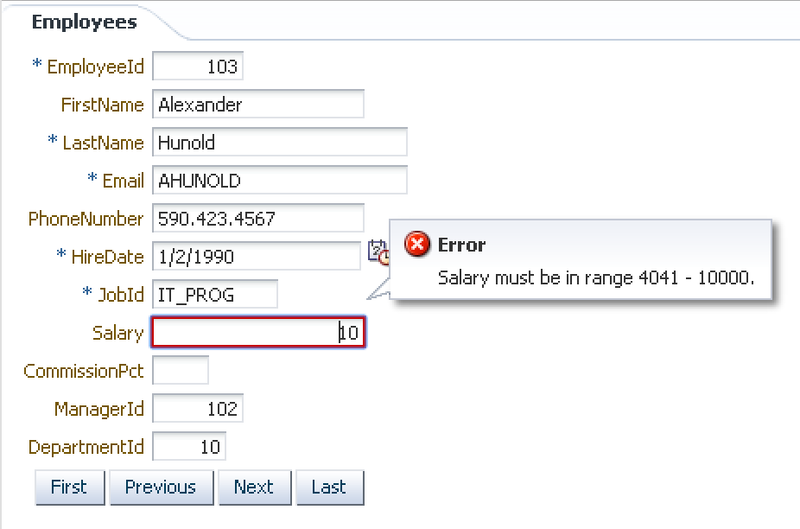 Make sure to fetch only such amount of rows, close to be required for display on UI or any back-end operation. I'm going to show you with a practical test - how time differs between VO SQL execution and row fetch for simple Employees table with 107 rows fetched as total. 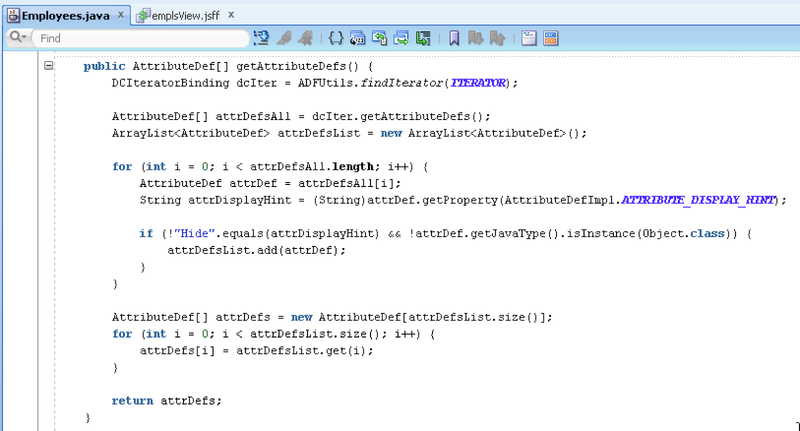 Here you can download sample test case application - ADFFetchApp.zip. 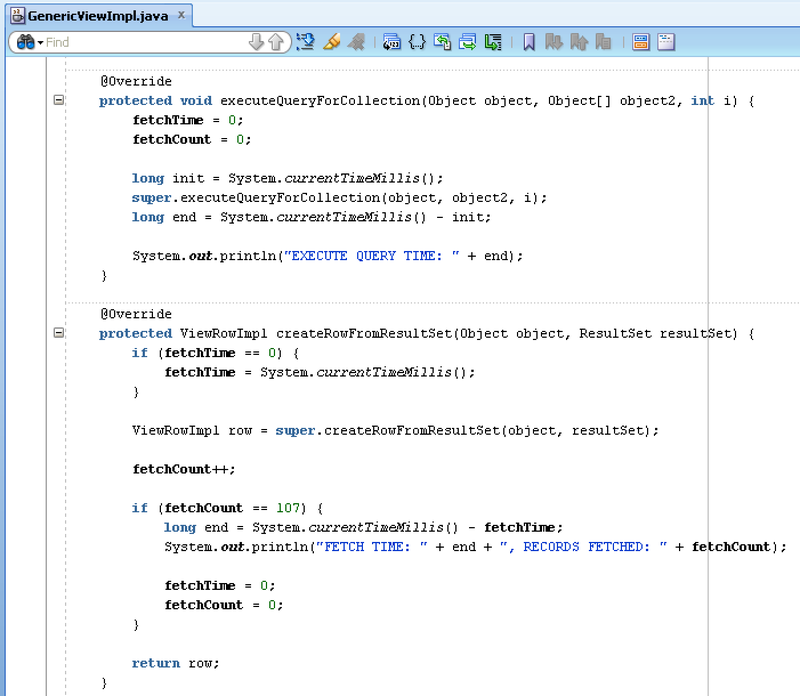 Fetch time is initialised, before constructing first ViewRowImpl object and stopped with the last row. As you can see, time added by row fetch operation could be quite significant and it makes sense to tune and ensure optimal row fetch in your application. SQL query is not only one thing to blame, when VO performance is slow, it could be you are fetching too many rows. 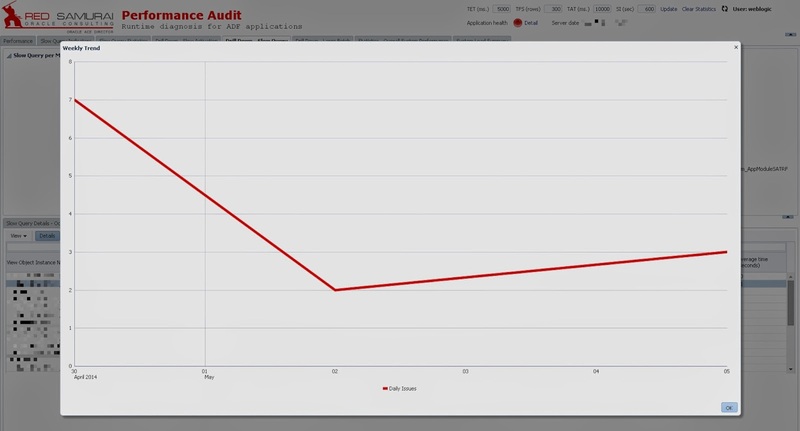 We have new improvements in Red Samurai ADF Performance Audit tool. 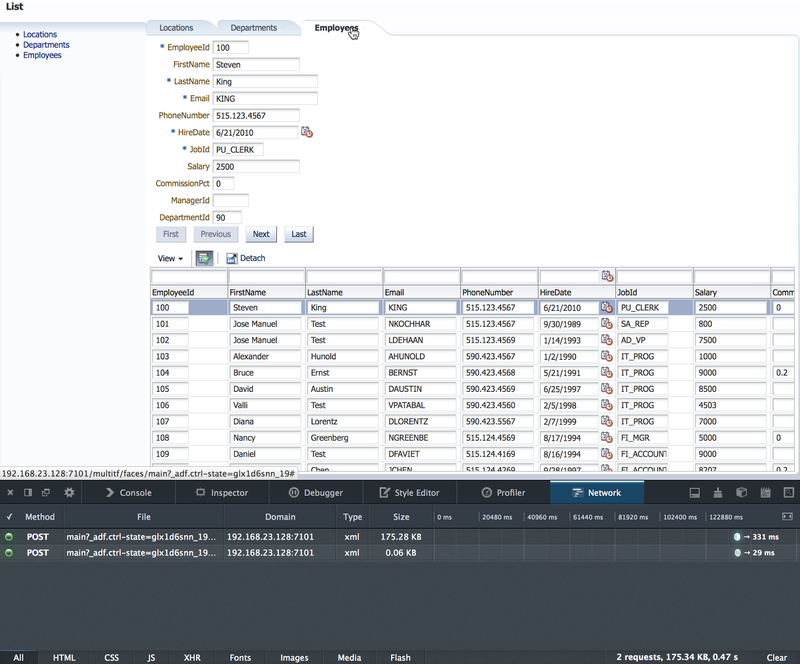 Update 3.1 is focused on new features in drill down reports for Slow Queries and Large Fetches. 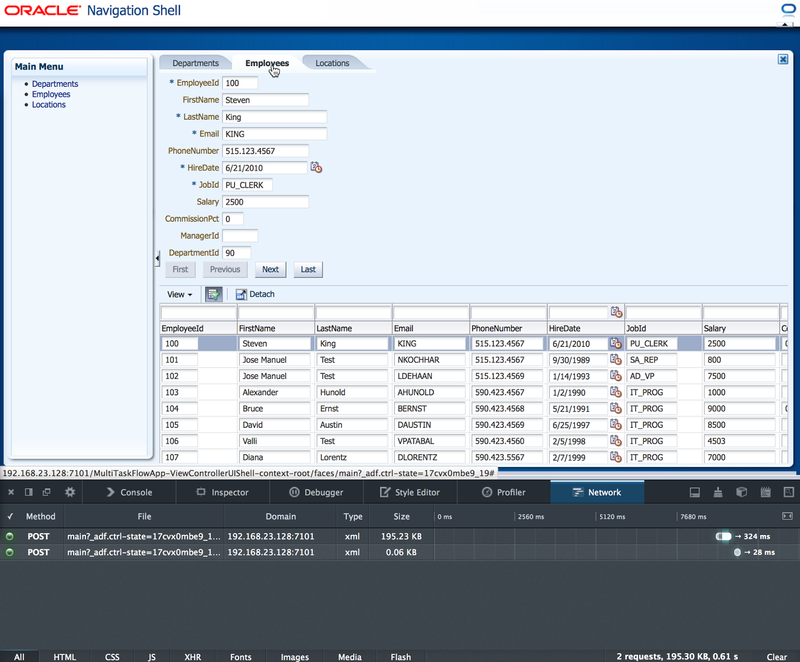 It could come handy to know how to get WebLogic server name and port in ADF application. 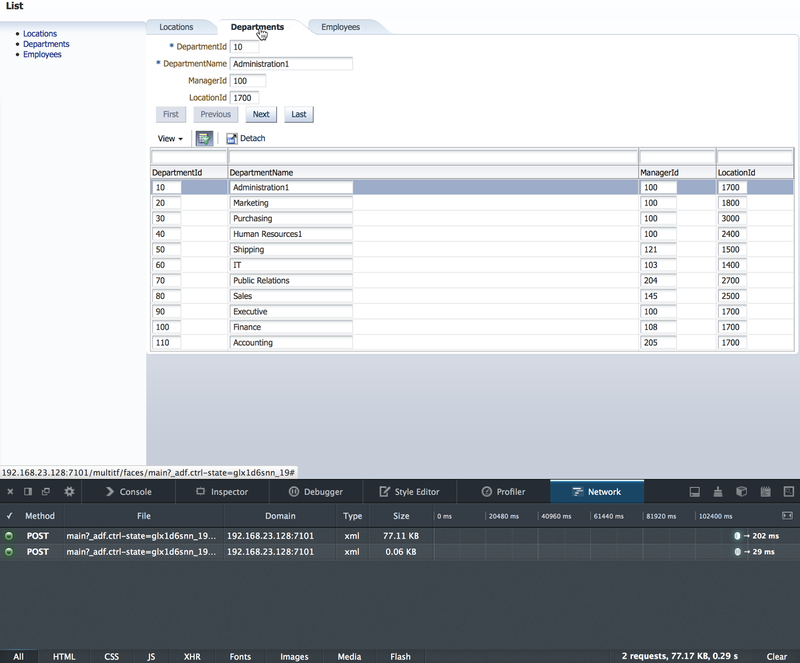 Particularly this could be useful, when running ADF application in the cluster and there is a requirement to track WebLogic node with application session instance running. Usually it is not enough to get server host, as cluster node is accessed through load balancer and server IP is different, not the one visible in HTTP session. You can download sample application - WLSEnvironmentAccessApp.zip to check how it works. You can implement adaptive forms, generated on runtime using ADF Dynamic Form component in 11g R1 or 11g R2 (keep in mind - ADF Dynamic Form component is not supported with Facelets). 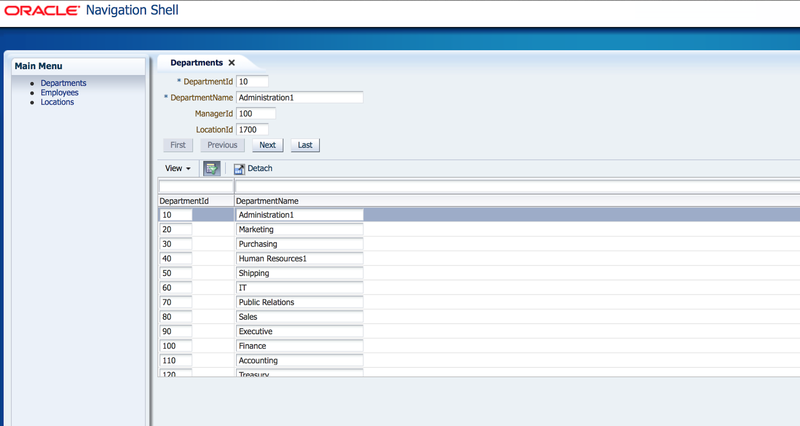 In 12c you could use new ADF Dynamic Component to generate adaptive forms. All good, but customisation options are limited. For example, if you would need to define Value Change Listener for adaptive form UI component, this would be quite tricky as there is no direct access to ADF UI component properties. 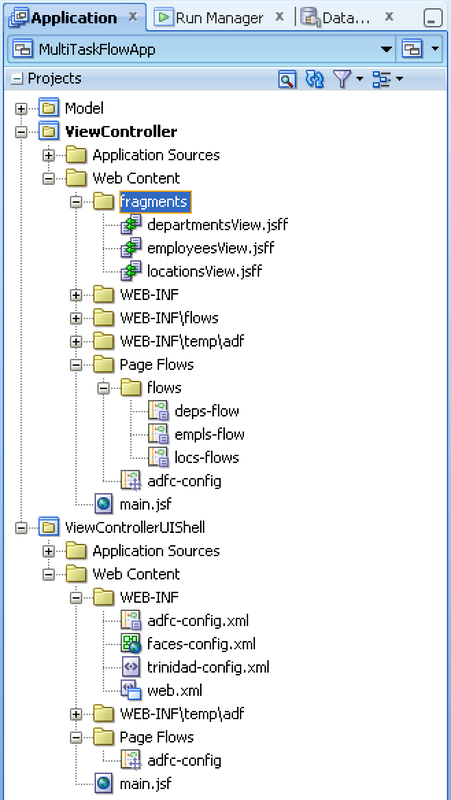 If you need to control how UI is generated, you could implement your own ADF UI generation procedure. 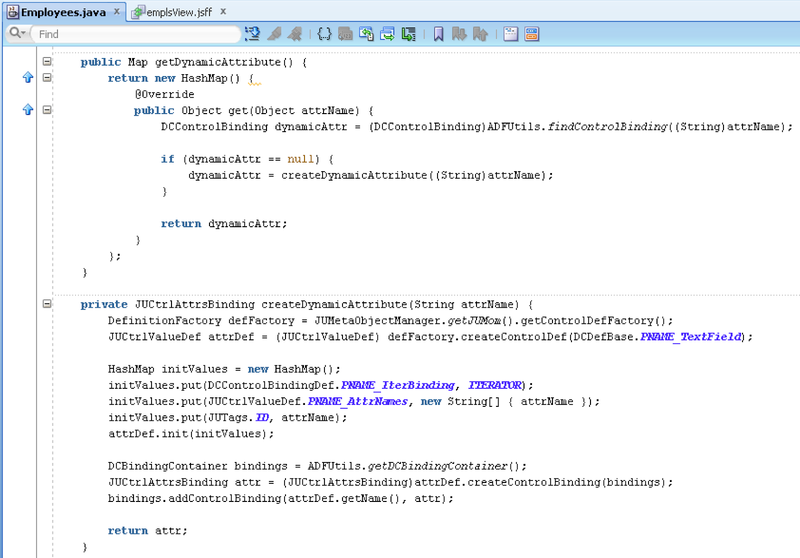 This would allow to manage ADF UI and ADF Bindings construction on runtime. I'm going to explain high level framework for such task and share sample application with ADF dynamic UI and ADF Bindings implementation. This method creates attribute binding dynamically, so you don't need to define attributeValues property in page definition on design time - this will be created on runtime. 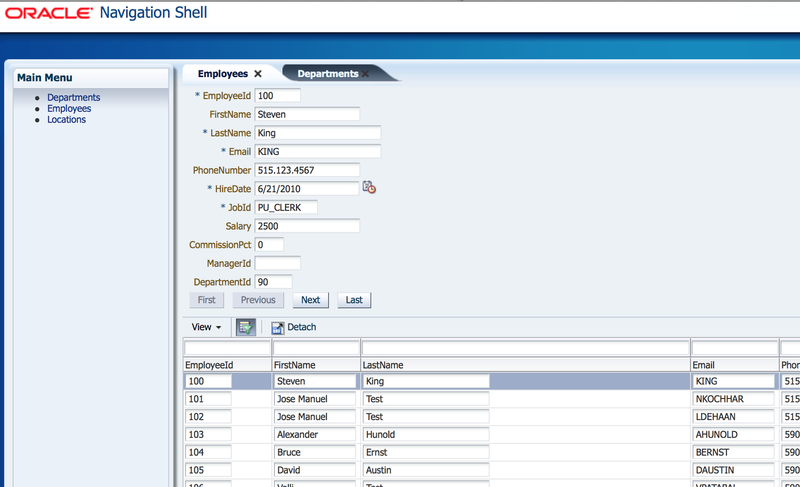 PNAME_TextField identifies simple binding (you could create different binding for LOV or Check Box). Iterator name must be set, along with attribute name and binding ID (exactly as it is defined in Page Definition XML, only programmatically this time). 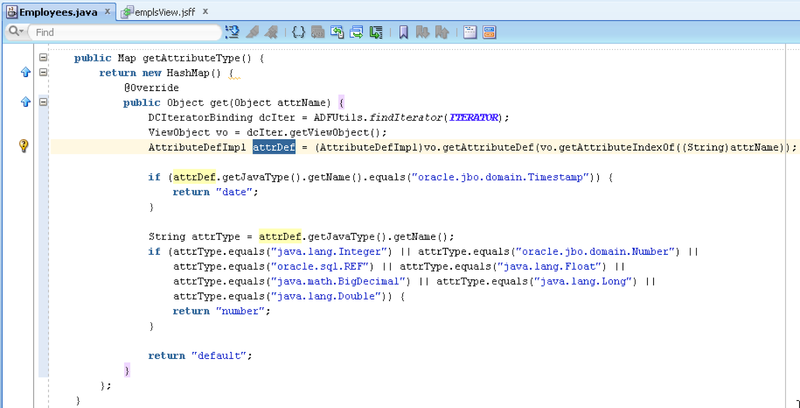 This code is not documented, you must check ADF source code for different scenarios.